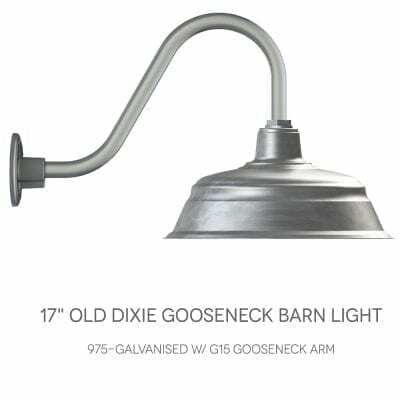 Want to see some hard-as-rock curves in the garage or something to illuminate the backyard shed? 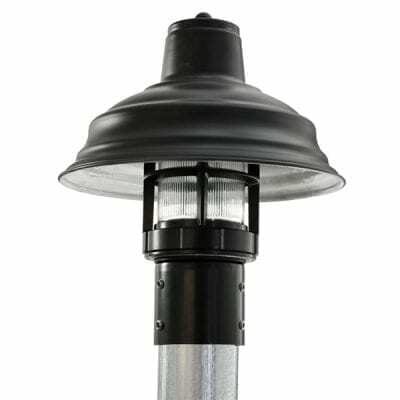 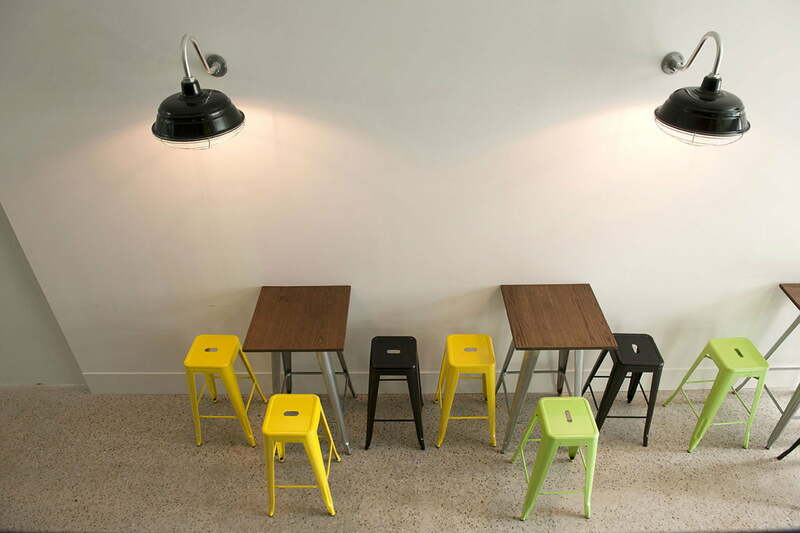 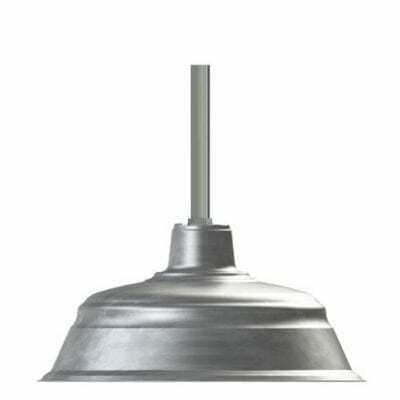 Our Goodrich Bomber Gooseneck Light provides that, and then some. 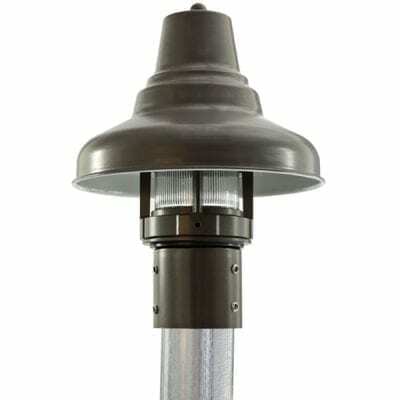 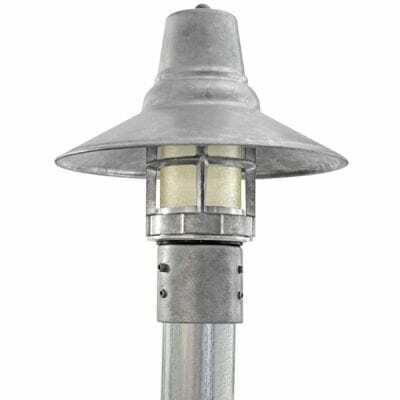 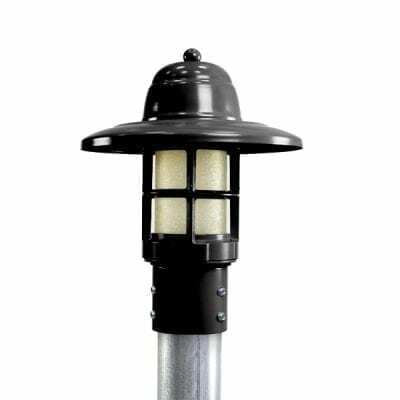 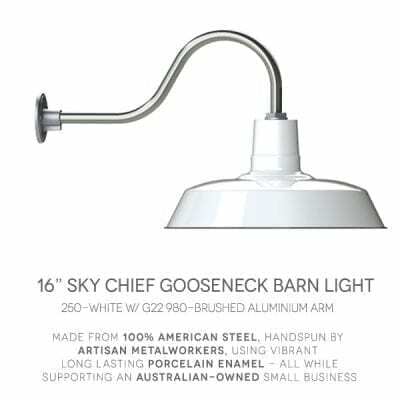 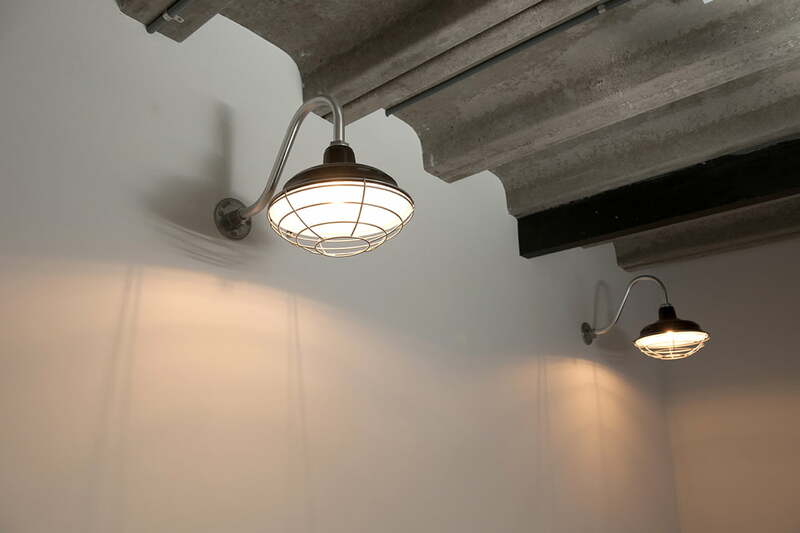 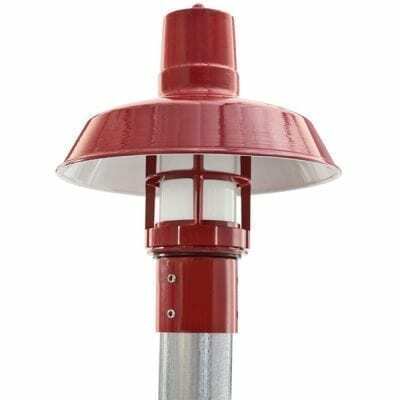 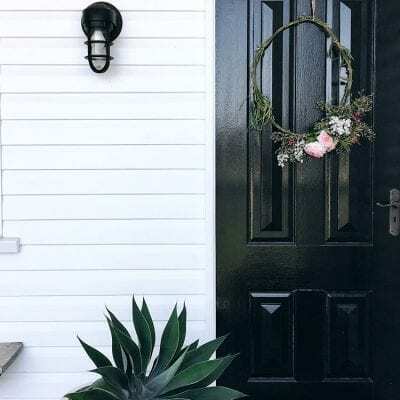 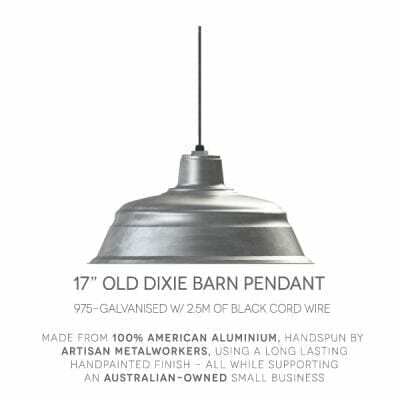 A larger light dispersal than our other Goodrich Barn Lights, this classic industrial gooseneck will enlighten your man-cave, backyard and any outdoor area with vigor. 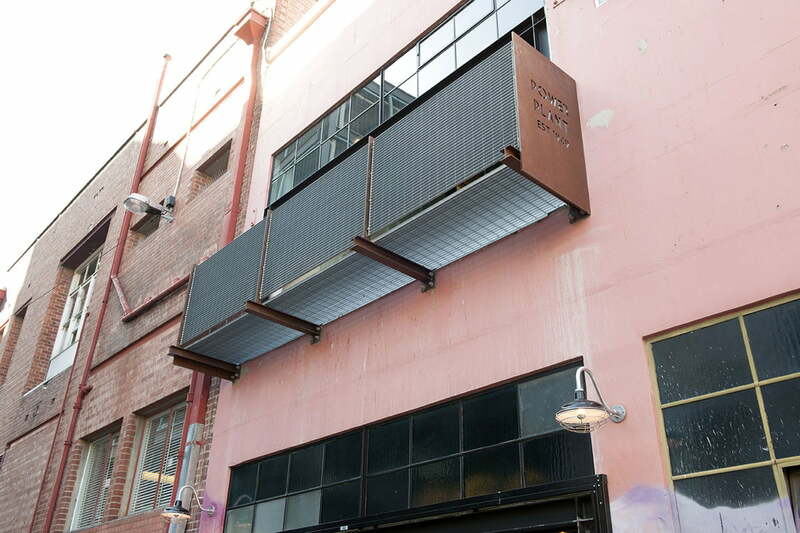 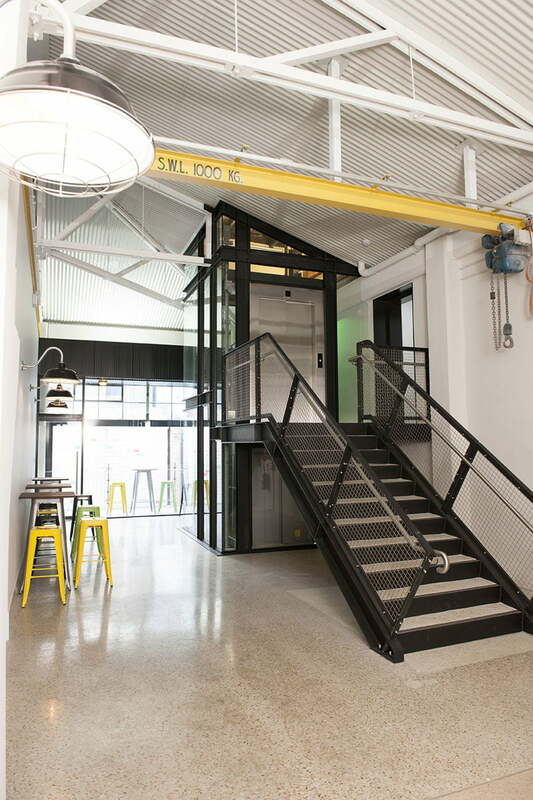 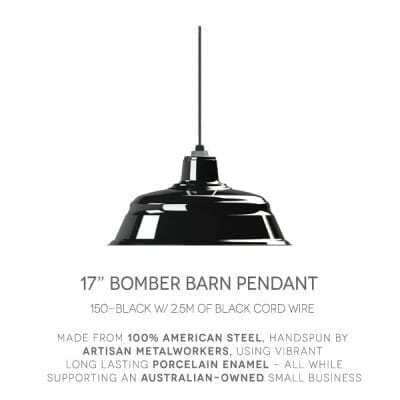 The Bomber is ‘bloody large’ at 43cm, so we recommend their installation predominately outside or near front entrances as they do require up a fair amount of space to blend in without looking out of place. The Bomber Gooseneck is ideal as a warm-welcoming lighting fixture, its size makes it a visual drawcard, designed to appeal to customers, hotel guests, and family. 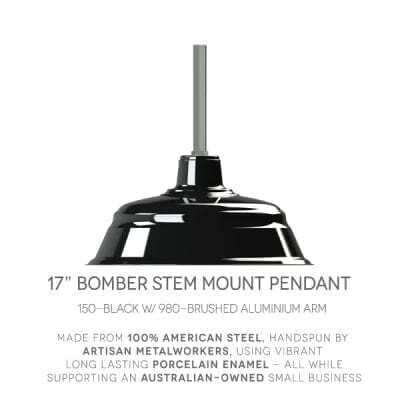 Finished with a porcelain enamel coating that follows the original manufacturing techniques, the finish will never fade, corrode or rust. 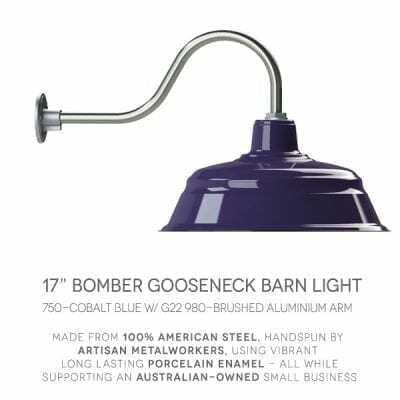 If you are near the ocean or otherwise experience salt-water as part of your daily life, the Bomber is immune to the typical deterioration you’d expect from cheap lighting fixtures from the local hardware store.